This week I’m writing the finale of a three-part series on the benefits for QuickBooks for your business. I briefly spoke about the advantage of QuickBooks Pro forms and the Snapshots feature, but QuickBooks offers many other bonuses that will adhere to the modern businessman. In today’s fast-paced digital age, we’ve all become accustomed to accessing information from anywhere. Laptops and smartphones remove deterrents from getting the info you need to keep up with the speed of business. For someone always on the move, QuickBooks offers an online version. This version is designed for those who need their financial records from anywhere. From any place at anytime, you can check your customer’s records, pay a bill, or run a crucial report to monitor the health of your business. Intuit, the maker of QuickBooks, now offers collaboration tools to allow multiple people to work on your company file at one time. The information will sync automatically, so everyone has information updated in real time. One of the major advantages of the online version of QuickBooks is the ability to streamline all of your transactions to one place. If you have multiple people entering information, they can enter it and access it from anywhere. This is a huge time saver for those always on the move and still in need of their financial information. The answer is a definite yes. Using similar encryption as major banks and complying with U.S. regulations for online security, QuickBooks Online protects your data from hackers as well as any other online transaction. If you trust online banking, such online accounting should fall in the same boat. One major disadvantage I’ve found to QuickBooks Online compared to other online accounting solutions is that it’s not easy to integrate your invoicing and accounting to other online systems. For example, if you use an online system to process an order and payment, it may not be able to automatically create an invoice in QuickBooks Online. You would need to enter the information in to the accounting system manually. 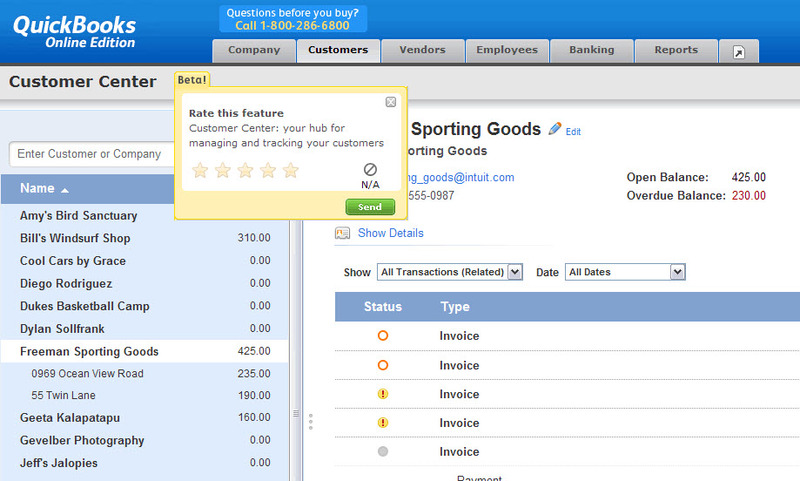 QuickBooks Pro and Online are both packed with features aimed at helping the small business keep up with the big boys. Both offer trial versions for you to test what’s right for your business setup. I can tell you that it is an invaluable tool for my business, and one we also love to teach others about. Stu Crair is the Owner and Training Manager at Digital Workshop Center, providing digital arts and computer training instruction in Fort Collins. Reach him at (970) 980-8091 or stu@digitalworkshopcenter.com.